An Autumn themed save the date card featuring two hand-drawn aspen trees combined with the bright colored leaves. Here are the fonts that have been used in the card above. Like this save the date card? You can personalize it with your own wording and details at minted. 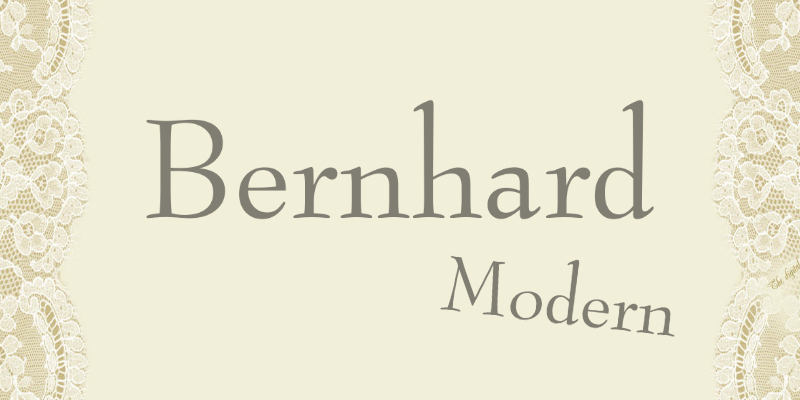 Bernhard Modern is an old style serif typeface designed by German type designer Lucian Bernhard in 1937. The typeface features a very short x-height. The font family comes in a wide array of typographic sets including alternates, extensions, small caps and italic swashes. It is recommended for relatively formal weddings. You can buy and download Bernhard Modern at Myfonts.